Other Products by Herbs Of Gold. Search other Anti-Inflammatory Supplements products. Curcumin is perhaps the most exciting natural anti-inflammatory nutrient discovered since salicylic acid, used in the development of aspirin. Curcumin is a polyphenol found in Turmeric root, which is common kitchen spice. So why not go to the pantry and start mixing the spice into water—immediately—you ask? Well, you can. But there is a major therapeutic difference between turmerics, specifically the grade of turmeric used and and the absorbability of the preparation. So far, has been identified that turmeric aids in the management of a number of conditions, including metabolic syndrome, arthritis, anxiety and elevated blood lipids1. The main therapeutic issue with curcumin in the past has been its relatively poor absorption through the human gastrointestinal tract2. 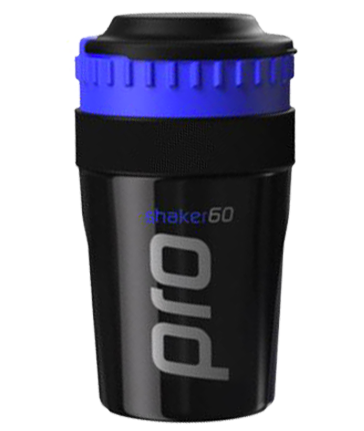 Relatively simple methods have been used to improve this, such as black pepper extract, which can enhance absorption up to 20 times. However, a new Meriva® preparation has demonstrated 29 times better absorption compared to curcumin alone, which is quite an astounding result3. Meriva®is a combination of two natural ingredients: curcumin and phosphatidylcholine. This latter nutrient is naturally found in a range of foods, such as sunflower seeds and eggs, and is a natural constituent of cell membranes, helping to regulate cellular activity through membrane fluidity. It is therefore very safe, and actually has a separate set of therapeutic benefits. 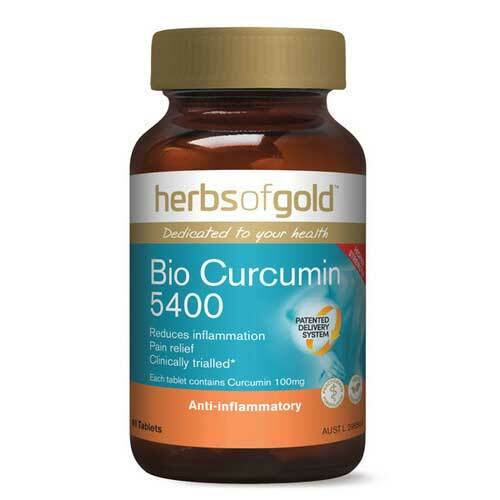 Herbs of Gold Bio Curcumin 5400 certainly does deliver another product of exceptional quality. Research published in 2010 in the Alternative Medicine Review indicated that Meriva® should be considered useful for the long-term management of osteoarthritis4. The authors concluded that the supplement intervention reduced joint pain and improved joint function. However, Herbs of Gold Bio Curcumin 5400 may also be used for the management of other inflammatory conditions, however, such as post-exercise muscle soreness, sports injuries, and more serious conditions like inflammatory bowel disease and rheumatoid arthritis. Herbs of Gold Bio Curcumin 5400 is another great product from a market leader in wellness supplements, as versatile as it is scientifically relevant. Adults - Take 1 tablet twice daily, with food or as directed by your healthcare practitioner. This is an excellent product it removed the pain on my index finger which had had a compound fracture 46 years previously and also fixed the pain in the soles of my feet. The 500 unit caps. are not powerful enough. I was taking green lipped muscle for arthritis in both knees after an arthroscope on both. Was advised to try Bio Curcumin. Am very happy; no pain and my knees are stronger than ever.